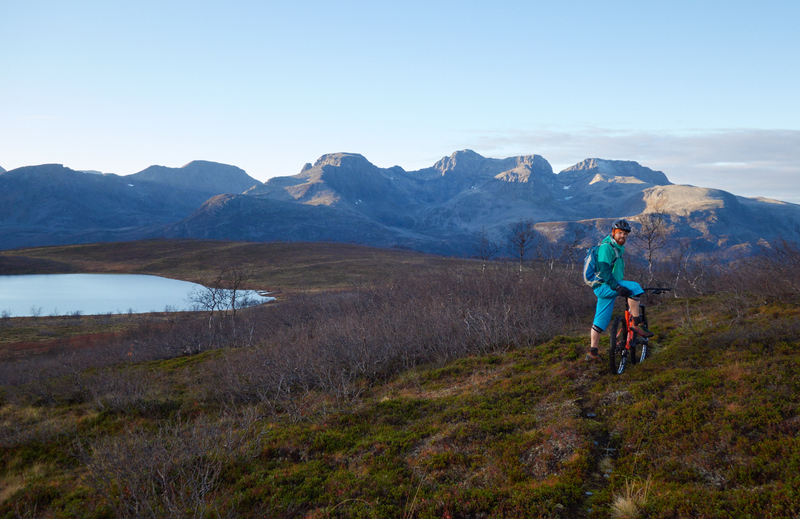 About a month ago, my friend Trine Lise asked me if I wanted to spend the weekend hunting for trails together with her, Jonas Thoressen, and Bergbjørn Fjellservice. I quite often spend my weekends hunting for trails, but what TL and the rest of the crew had in mind was a different kind of hunt. We were going on a hunt for trails from the sea. Saturday morning by the north shore of Lyngsalpan. Ski and sail is a pretty established concept up here in Troms. People come from all over the world to ski summit to sea. Our task for the weekend was to see if the same concept can be applied to mountain biking. Morning coffee and a view to die for. 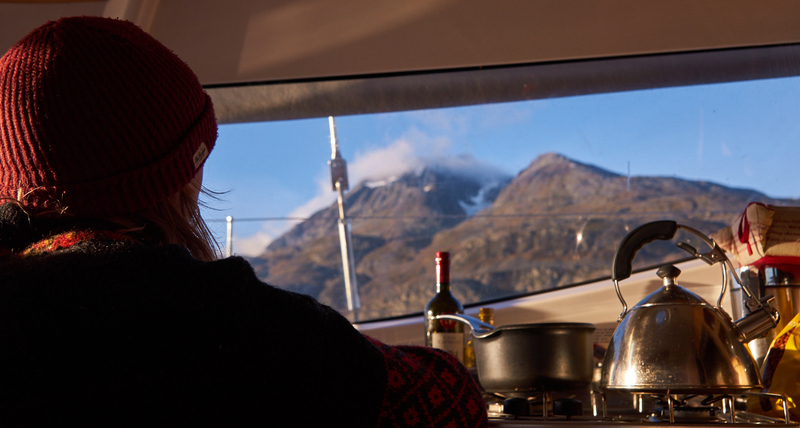 One of the key aspects that makes ski and sail so attractive is that the boat makes it possible to reach terrain that would be very difficult to reach by other means. You get the chance to ski the untracked wild. That’s pretty much a dream come true if you have skis under your feet. 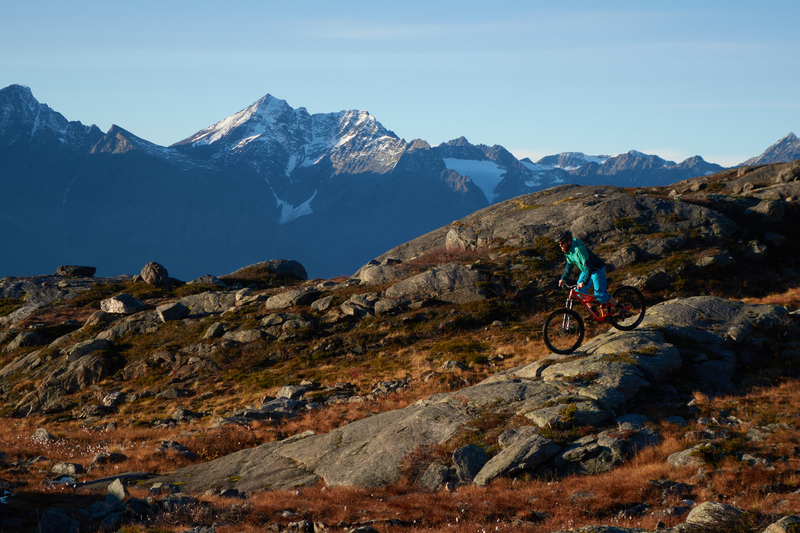 When you’re on a mountain bike, pristine terrain is a huge bonus. But the number one requirement is a good trail, and for a good trail to exist, the terrain cannot be all to pristine. You need some people to run up and down the mountain to make that trail. 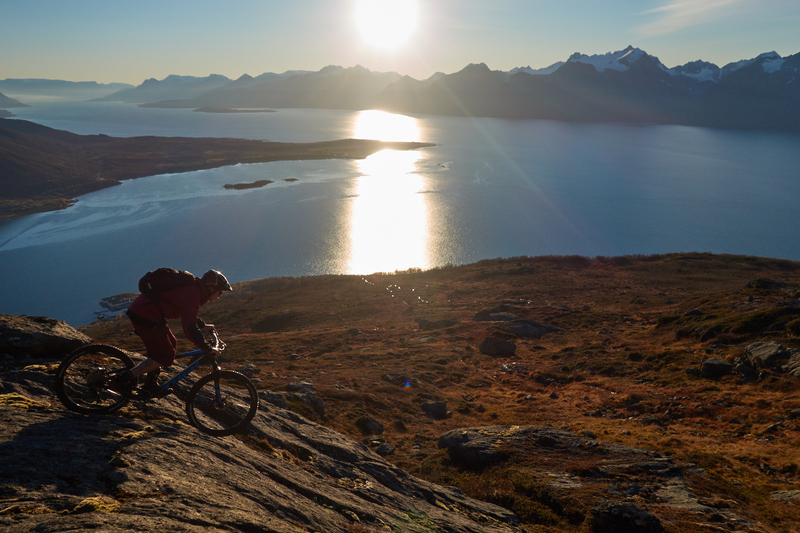 So if you want to bike and boat you face the challenge to find the tracked wild. That is a proper challenge. 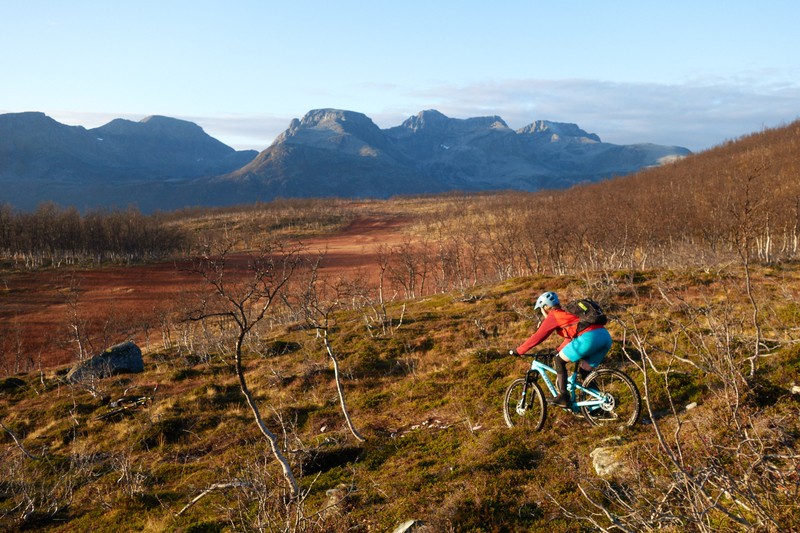 Karin trying out one of the trails at Reinøya. The catamaran waiting for us at Nordeidet. Troms fylke is not exactly crowded with people, so most of the islands are still truly wild, in the sense that you will most likely find one hut and probably some sheep (there are very few places in Norway where you find people in abundance, but there is almost no place where you find none at all, people live in the strangest places here), but will you find a trail? 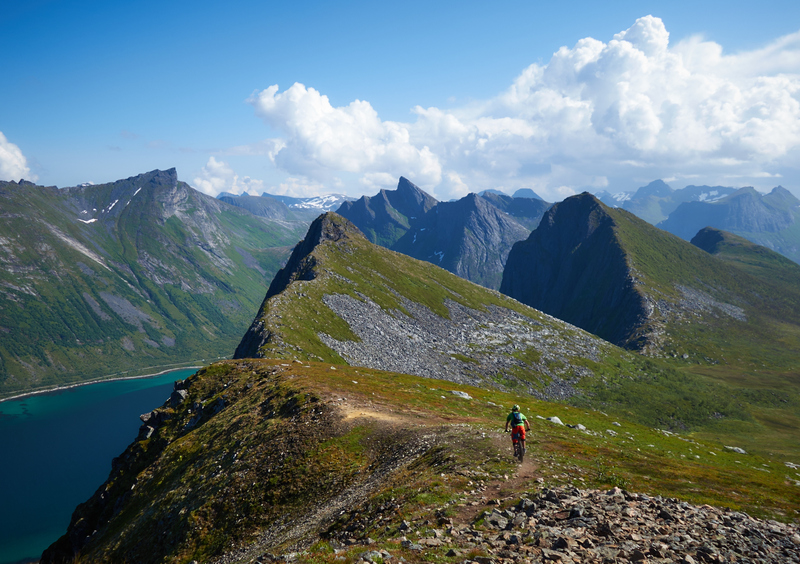 Norwegians are very fond of walking up and down mountains. They do it regardless of weather, so given the population density, you are much more likely to find a trail here than any other place in the world. 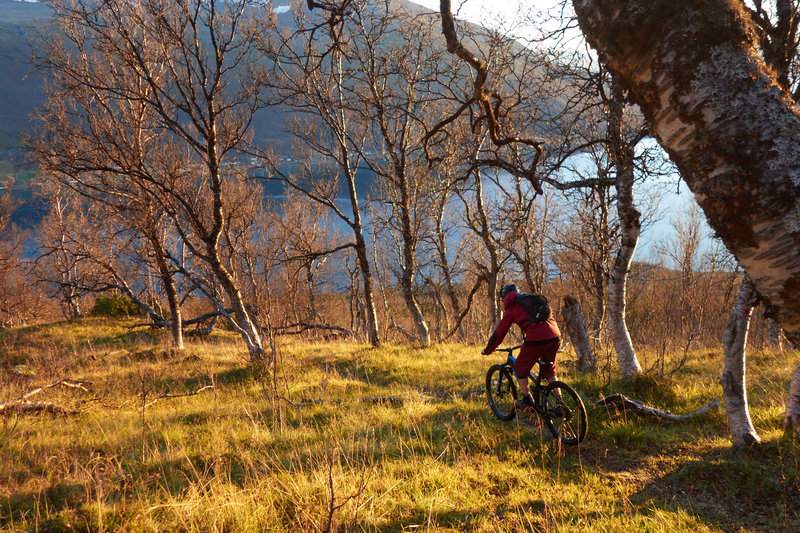 But still, on the remote islands, most trails will likely be made by either sheep, reindeer, or simply not exist. Tore searching for trails at Reinøya. Ringvassøy in the background. 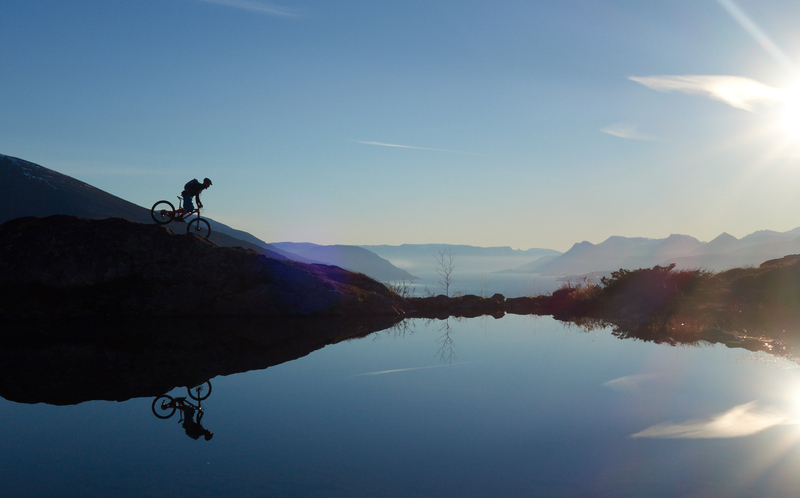 In other words, making bike and boat work takes a whole lot of more skill than ski and sail. But I think that it can be done. Going places by car in Norway takes forever as you have to drive around both mountains and fjords. There is a reason that most people traveled by boat in the old days. Traveling by boat makes it possible to ride a set of mountains that would be almost impossible to combine if you were to drive a car there. 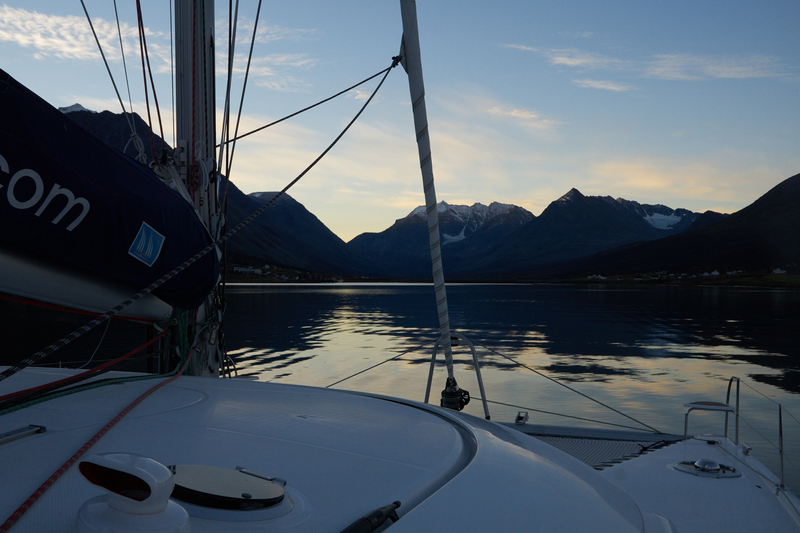 In addition, living on a boat, and sailing the Arctic sea, is a dream in itself. Finally, the trails are out there. You just have to know where to search. Jonas charging down a slab on Ulløya. 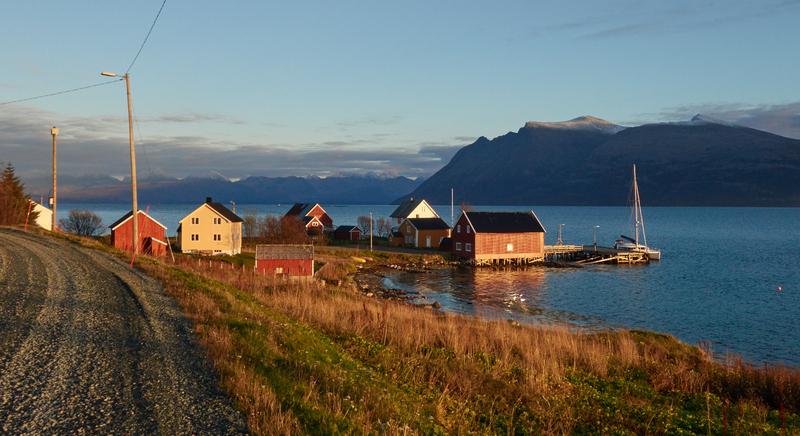 During our weekend on the boat, we only hunted for trails on two islands: Ulløya and Reinøya. We fought our way through shrubberies, and marshlands. We climbed over rocks, and fallen trees. And we did find some gems. 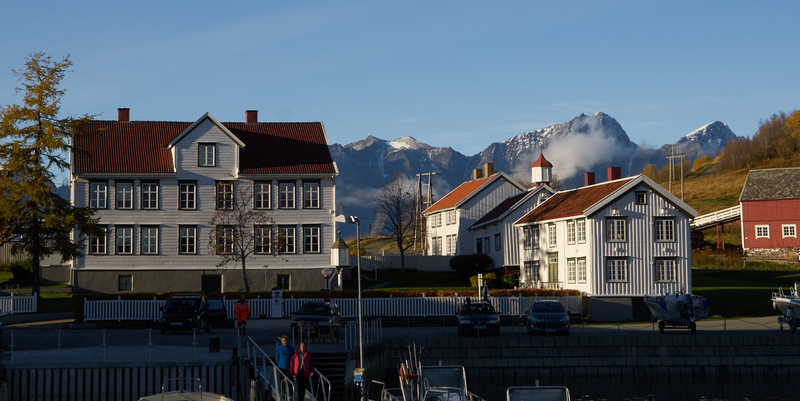 The picturesque harbor of Hamnes, Ulløya. I suspect that there are more gems hidden out on the islands, and I know that there are a whole lot of not so hidden diamonds that are just waiting to get picked by riders from the sea. I had a blast during my weekend on the boat. 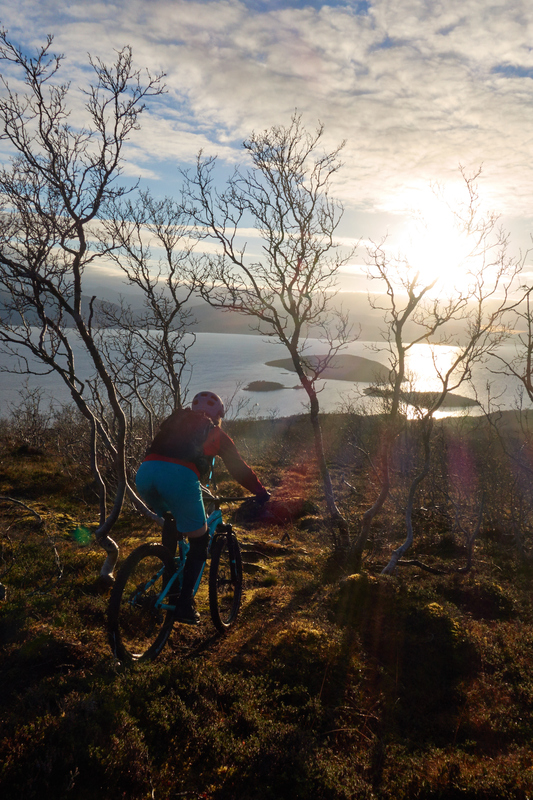 We spent the days climbing and riding, and the evenings eating fantastic food, playing games and listening to our captain’s old stories from the sea. I slept like a baby, rocked to sleep by gentle waves. 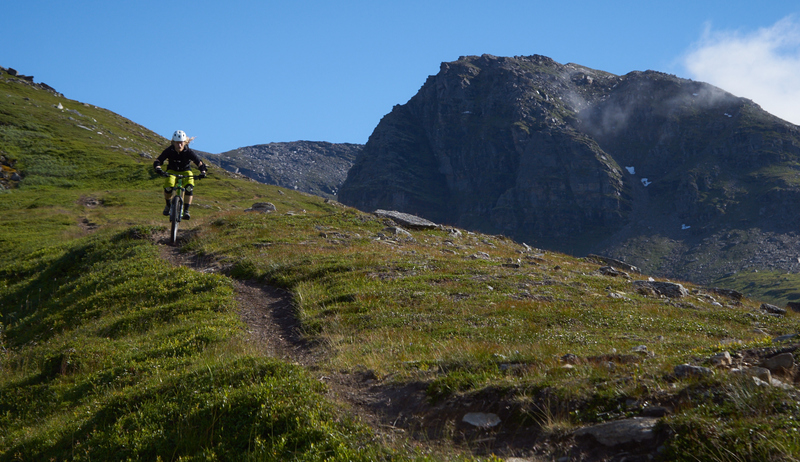 If any of you out there are interested in coming up to the Arctic to ride down or climb up some Norwegian mountains during summer or winter, it is definitely worth checking out Bergbjørn fjellservice. 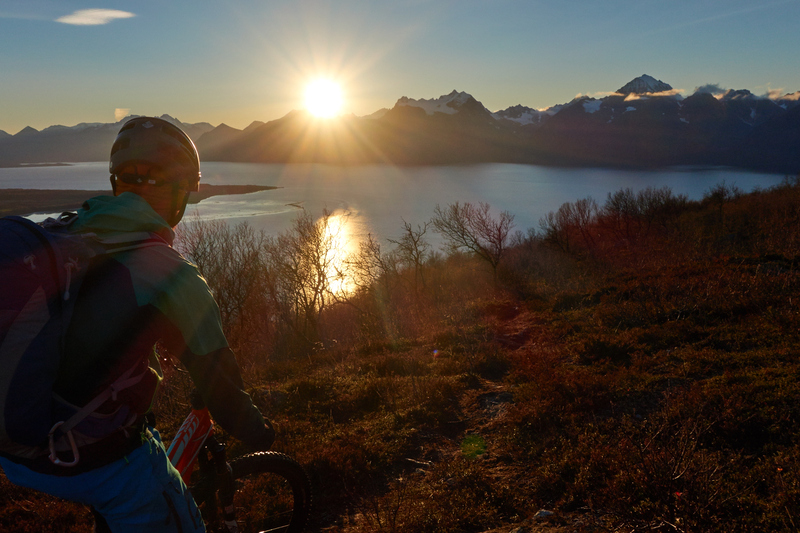 Tore Bergbjørn is a certified UIAGM mountain guide, and he and Karin arranges both tours and courses in climbing, alpinism, backcountry skiing and mountainbiking. 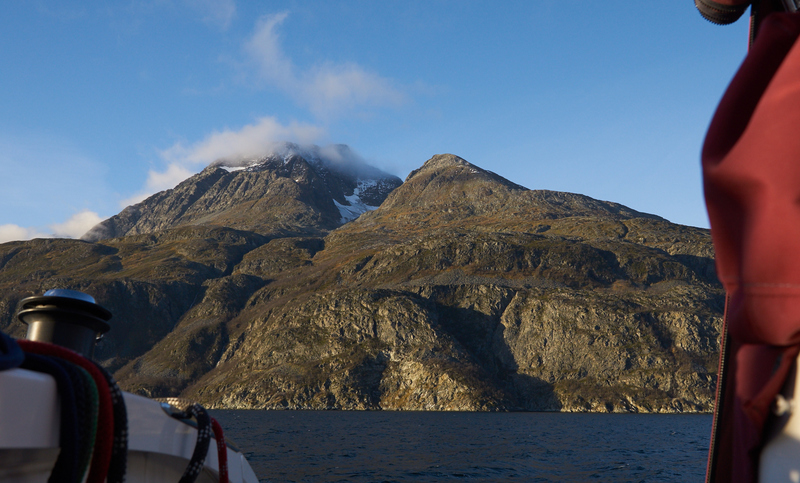 Thanks a million for letting me tag along, Bergbjørn fjellservice and Boreal Yachting! I really look forward to seeing the future of boat and bike! :D, thanks Matt! It is a crazy beautiful world..
shiiit det är ju helt magiskt änna! Jup! 😀 Heldig är man som får vara med om sånt här! Det där ser sjukt fint ut!! Hej Markus! Jag kan inte annat än hålla med :). 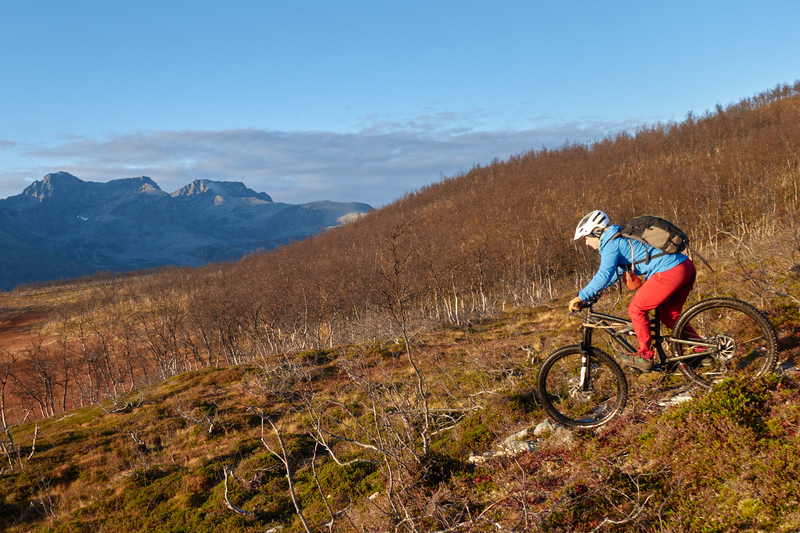 Att få segla runt i nordnorska fjordar och sen få cykla i fjällen är verkligen en helt grym upplevelse!